Baby Rear Facing Mirrors Safety Car Back Seat Baby Easy View Mirror Adjustable Useful Cute Infant Monitor for Kids Toddler Child. 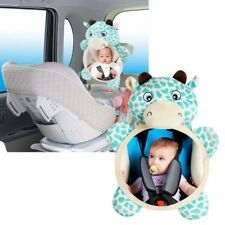 The fixed performance is good, the car mirror for baby in the car not shake not to slide, will not cause excessive friction to the seat, more won't fall down to harm to the child. 41 61CM LARGE CAR ORGANIZER-This is a great organizer which will keep your backseat tidy and clean. It's large enough to cover the backs of the front seats very well. Perfectly protect your car back seat from dirt, dust and mud. Child friendly. Great for keeping your seat clean. Won't scratch your car seats. Very easy to keep clean. 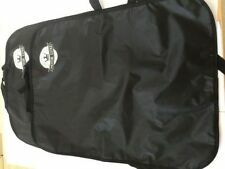 Great for keeping your seat clean,very easy to keep clean,won't scratch your car seats. 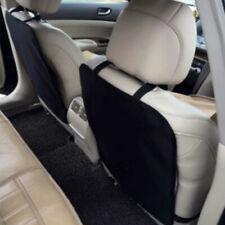 Item Type:Seat Covers & Supports. We will do our best to solve your problem. Great for keeping your seat clean. Won't scratch your car seats. Very easy to keep clean. Perfectly designed to fit most vehicles. The images are for reference only. 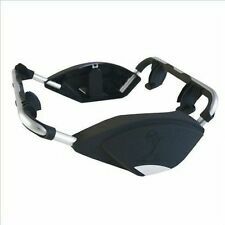 The fixed performance is good, the car mirror for baby in the car not shake not to slide, will not cause excessive friction to the seat, more won't fall down to harm to the child. 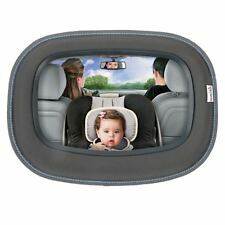 Safe and unbreakable material, the shatterproof baby car back seat mirror that does not harm the child has a thin film on the surface to protect the mirror which you should take it off before use. 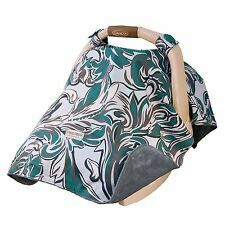 Kids Padded Car Seat protector can be fitted either under a Child Car Seat to protect seat upholstery or onto the rear of the front seats to protect them from little feet. Protects entire seat against mud, dirt and wet shoes. Great for keeping your seat clean. Won't scratch your car seats. Very easy to keep clean. Perfectly designed to fit most vehicles. Made to the highest standards in quality, safety and reliability. In the autumn or winter, they will usually Rugrats shoes dirty, wet. Upholstery protection ensures the back of the car seat to keep clean. 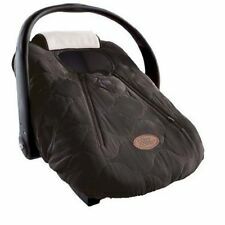 Car floor mats anti-stain protection pad --- car seat is not dirty. Child friendly. Great for keeping your seat clean. Won't scratch your car seats. Very easy to keep clean. Perfectly designed to fit most vehicles. 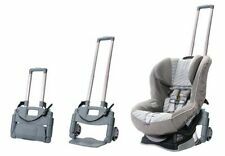 Purpose: General no safety seat(increase pad) of the ISOFIXLATCH interface, through this product to achieve the safety of the seat ISOFIX fixed, the seat is more stable and safe. Item type:Fixing band. Great for keeping your seat clean. 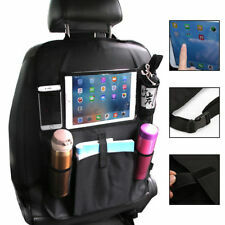 Multifunction car back pocket. Won't scratch your car seats. Very easy to keep clean. Perfectly designed to fit most vehicles.